Here are the Top 20 Telerik Test Studio Interview Question with Answers, If you looking for job change and preparing for interview then this post is for you. Must go through all questions. Automated Testing/(test automation) is the use of special software(Testing tools) to control the execution of tests and the comparison of actual outcomes with predicted outcomes. Test automation can automate some repetitive but necessary tasks in a formalized testing process already in place, or perform additional testing that would be difficult to do manually. Test automation is critical for continuous delivery and continuous testing. Telerik Test Studio is a Windows-based software testing tool for web and desktop functional testing, software performance testing, load testing and mobile application testing developed by Telerik. What do you understand by coded step in Telerik Test Studio? Test Studio supports coded steps. This allows you to write code and have it executed as a test step. Use a coded step for a scenario that requires more complexity than what can be composed with the Verification Builder or by actions from the Elements Menu. How create code behind file in Telerik Test Studio? There are two methods of creating a code behind file for your test. 1. Add a coded step from the Step Builder. 2. Right click on a step and select Edit in Code from the Test Step Context Menu. Tell me the steps of add an Assembly Reference (Standalone version)? 1. Open or create a test project in the Standalone version. Click the Project tab the Show button in the Settings ribbon. 2. The Project Settings menu loads. 4. This lists the Project References. 5. Click Add Reference to browse for an assembly in DLL form. 6. Locate the assembly and click Open. The new DLL should appear in your Project References list. execute your test. Test Studio will build the coded step(s) and alert you to any compilation errors. Can you do automate testing of a PDF file using Test Studio? Unfortunately Test Studio is unable to connect to and parse browser windows that open a PDF file. PDF files do not contain a Document Object Model, they do not contain HTML. Test Studio can only connect to HTML, Silverlight and WPF type of windows. How you will run your tests in different browser versions? To run your tests in multiple versions of the same browser requires you to setup multiple machines. Test Studio can only use the version of the browser that is currently installed on one machine. If you want to do something like run your tests in IE 8 & IE 9 & IE 10 requires you to setup 3 different machines (which can be VM's) each with a different version of IE installed on it. How you can create a performance test with N concurrent users? A Test Studio Performance test will only do one user at a time. It is not possible create this type of test with more than one user. To stress your web server with multiple users you must create and execute a Test Studio Load test. What are the .Net Framework based languages supported by Telerik Test Studio? Test Studio supports coding in C# and VB.NET. By using them one can easily leverage the capabilities of the .NET framework and Telerik Testing Framework which is in the base of Test Studio. What are the advantage and disadvantage of using Test Studio? What's the diff between Exact and same compare types? The difference between Exact and Same is that Exact is case sensitive and Same is not. How you will select checkboxes randomly if you have checkbox ID? What is xUnit.net in Telerik Test Studio? xUnit.net is an open source unit testing tool for the .NET framework, written by the original author of NUnit. Telerik Testing Framework comes with built-in support for xUnit.net 1.8 and higher. 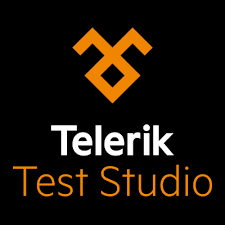 What is the latest version of Telerik Test Studio? What are the new features of Test Studio R3 2016? What are the Key Steps to Prepare and Execute the Testing of a Project? Name all options available under Record dropdown in Test Studio?